Went to Broughs grocery store at bottom of station road. Would walk there from Jubilee St. Through the field came out at road to go down bank to the beck. alright going it was the coming back when we had bags to carry. Sometimes we came up the clay bank, don’t think when we were carrying bags. MORE via Having to go to ushaw moor in 60′s « newbrancepethmemories. For those interested in coal mining heritage please consider using the Durham Mining Museum facility. I know that some of you are already aware that the museum is on the internet and have found it interesting. Below is an example of local interest. Very sad and very tragic. Sutch, John, 07 May 1931, aged 48, Stoneman. 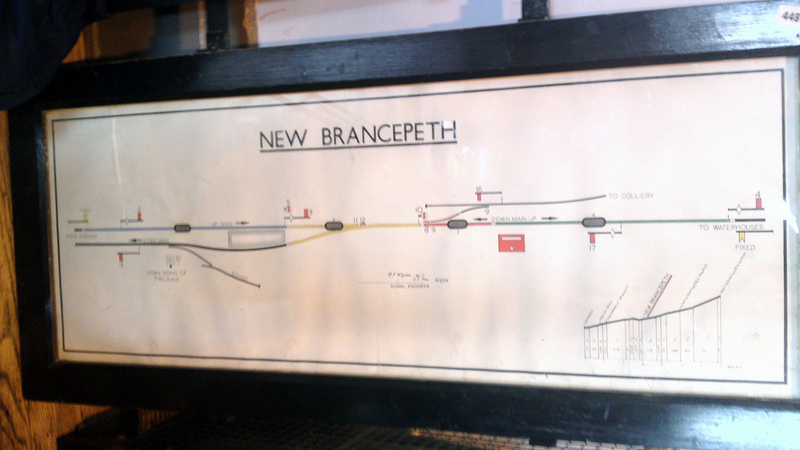 Having walked from his home at New Brancepeth to Brandon Pit House Colliery he found that the mine was idle. He had just begun the return journey accompanied by his son-in-law and a workmate when he was overtaken by a locomotive on the colliery railway, run over, and killed. The other two men had jumped to safety, but Sutch had failed to hear the locomotive approaching. It had been the custom for some time for all the men living at New Brancepeth to use the line as a short cut, Buried: Ushaw Moor Cemetary.